Come check out what this old school thing is all about with red-book Basic D&D, circa 1981. Elf is a class, thouls lurk in the dark, and brave adventurers search forgotten dungeons for lost riches. So here we are with less than three weeks to go and I still know nothing about this game. At this point, it’s clear I won’t have time to write something new, but fortunately I have a two year campaign full of stuff to reuse. The one I like best right now was used fairly recently, which means it’s suitable for characters in the 4-5 level range. I wonder though if that’s too demanding for the implied intro level of this game? Experience has shown though that it’s extremely unlikely that my game will be full of neophytes. In fact, one such person is unusual. Usually this kind of game contains a few different types: first, folks who will jump at any old school sounding game no matter the content. Second, folks who are active new school players but curious or nostalgic about the old school stuff, and find this an easy way to test the waters. Third, somewhat older gamers who remember the old stuff fondly and have young children with them whom they’d like to indoctrinate. This final group is probably also attracted to the fact that my games are almost always open to all age ranges. 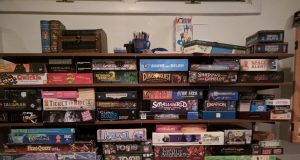 Having once been a young a gamer myself (I was 15 at my first GenCon), I try to leave agism at the door. As a post-script, I noticed when reading my description I specifically mention the race-as-class feature of Basic D&D. My character generator has been tuned though to use my house rules, which includes a race/class split. I’m kind of torn on what to do about that.